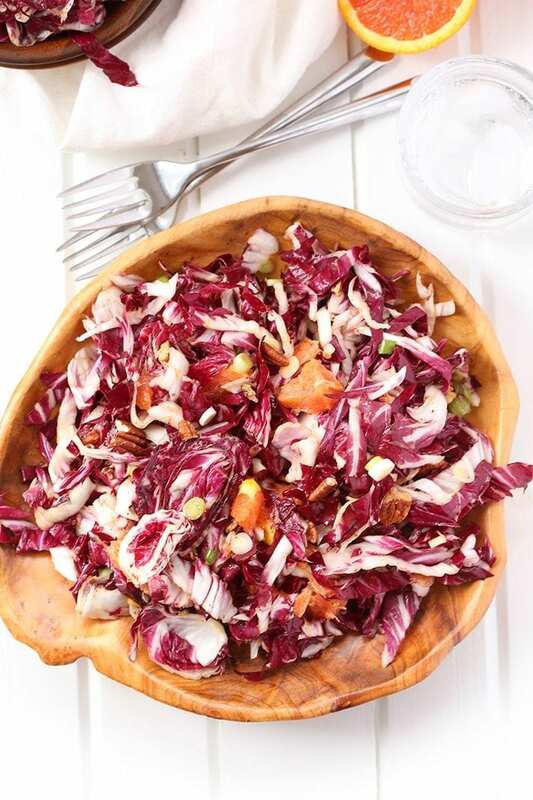 For a fresh spring salad recipe, whip up this Orange Radicchio Salad and get the ultimate mixture of sweet and savory. Topped with a maple vinaigrette, this easy and flavorful salad will become a salad staple. But my love-hate relationship with Mother Nature isn’t stopping me from dreaming up some fresh Spring salads. After a winter of soups galore (souper sunday anyone?! ), it’s time to bring on the raw and seasonal fruits and veggies. If I’m being completely honest, there are some recipes that I get nervous about posting. 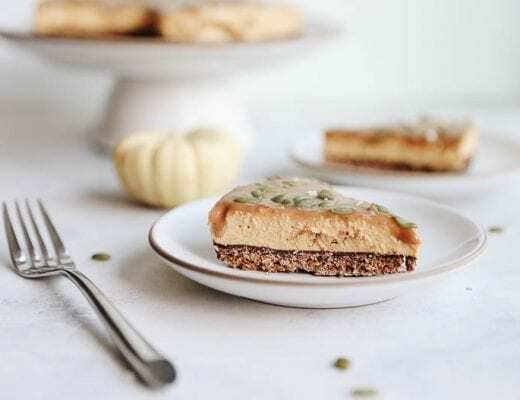 Over the years I’ve tried really hard to bring you easy, simple and nutritious recipes but I also love getting a little wild and playing with the unusual. 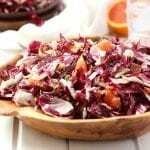 Now for me, this Orange and Radicchio Salad is nothing out of the ordinary, but I can already feel the questions coming on about what in the hell radicchio is and where to find cara cara oranges. 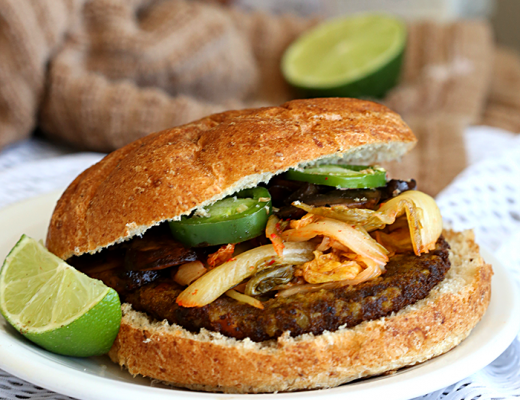 We all get stuck in a food rut, but don’t let that mean you’re done expanding your food palate! 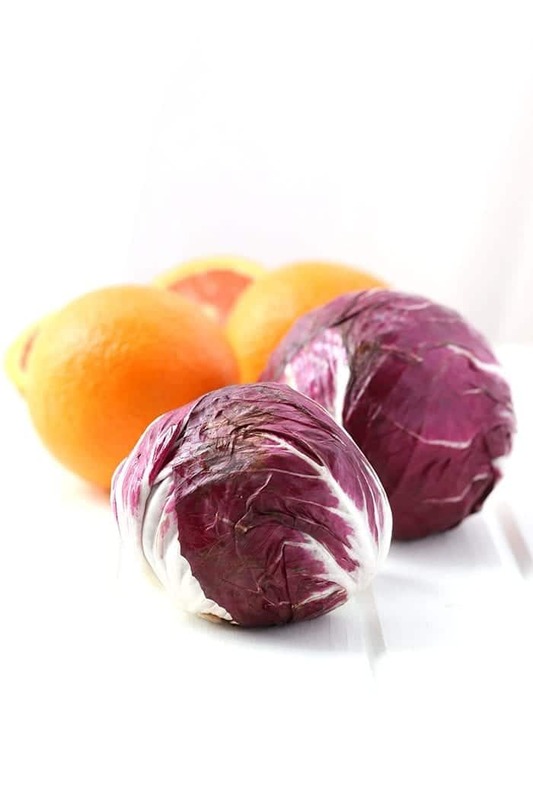 Now I know that some of you live in the most rural of rural places and finding somewhat less known ingredients can be a challenge, but I’ve decided that if you’re able to access the internet to find this post, you’re likely able to find radicchio and cara cara oranges. But I also don’t want to be the grocery store grinch, so yes you can certainly use any kind of orange and purple cabbage. At the end of the day, I’m just happy you’re eating more vegetables. But I do urge you to try something knew! I like picking up one new or “underdog” ingredient at the grocery store every time I visit. Perhaps radicchio will be your first? Just make sure to let me know! 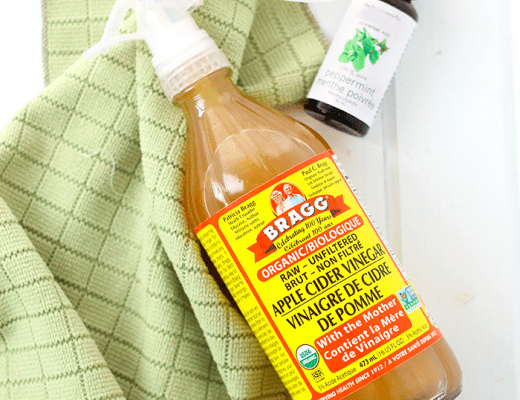 Mix together dressing and drizzle over salad. Stir to ensure salad is coated. I like to make this about 30 mins before serving to allow the flavors to meld. Toasting adds more flavor so I highly recommend it! Either on a stovetop or in a 350 degree oven for 5-10 mins. 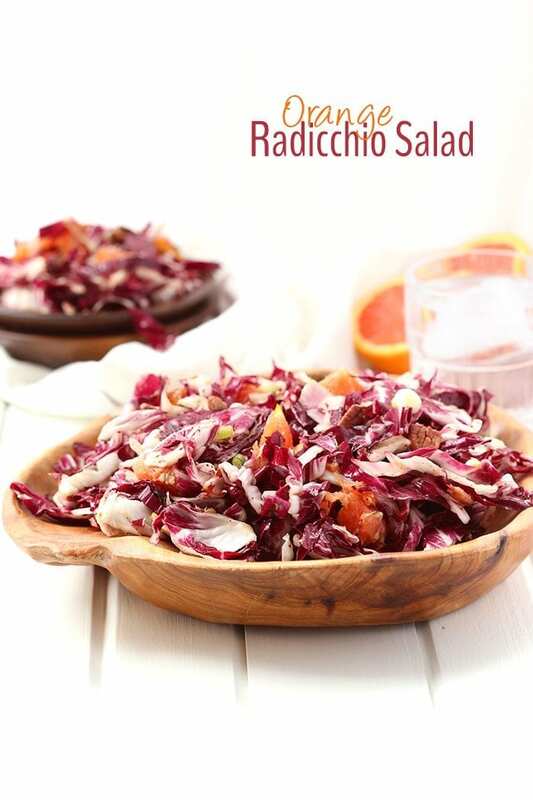 Are you familiar with radicchio? Do you get stuck in food ruts? you definitely should give it a try! The flavors play off so nicely! This sounds amazing – and simple! 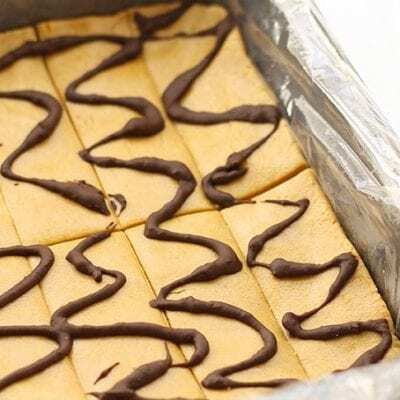 I’ll definitely have to make it once the weather warms up (because it is currently snowing right now) and when we have a grill-out at my boyfriend’s mom’s!